Intensive, hands-on sessions for emerging entrepreneurs in the creative sector to apply contemporary product development methods to their own projects, with the guidance and mentorship of experts in business, technology, interaction design, industrial design, and materials-based research. Each workshop will focus on one key area. Attend one or all three – book your spot now! Explore different ways of balancing how your company creates, delivers and captures value using two essential early stage creative tools. Creating a Minimum Viable Product (MVP) just isn’t good enough, our initial offering needs to reach target users emotionally to convey its value. Discover approaches to rapidly creating meaningful prototypes for early stage digital and software product development. Discover the importance of concept validation and user testing on early stage ideas to help in the evaluation and development process of your product or service. Explore different ways of acquiring the crucial financial support that your business requires and learn presentation strategies for communicating your company’s goals. These workshops are free; a limited number of seats are open to current students, industry practitioners and alumni with advanced registration. 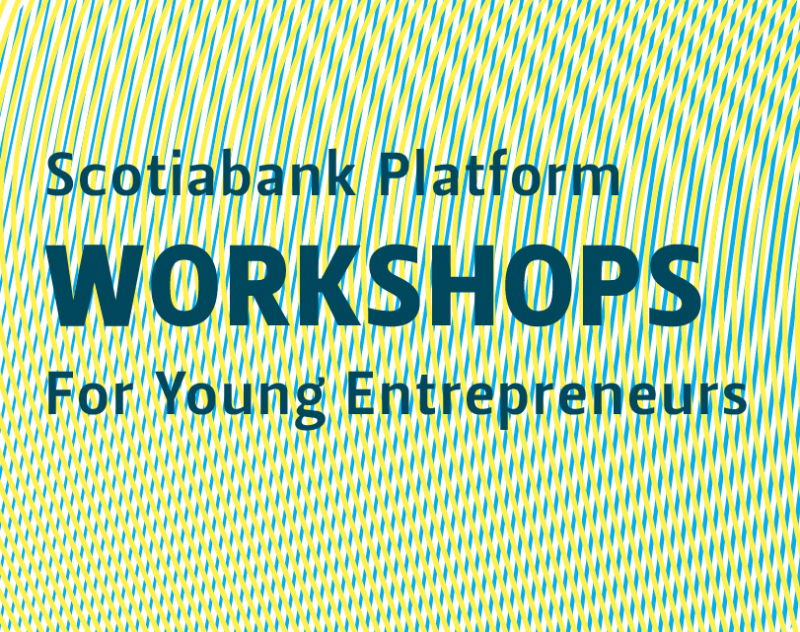 Produced with support from the Scotiabank Platform Program for Young Entrepreneurs.